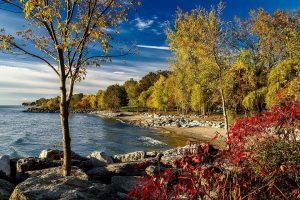 We offer small group holidays in Ontario, Canada. We believe that people should have a wonderful travel experience and experience real adventure holidays. We want travellers to not only visit places but being able to enjoy an adventure that they can gladly share with their friends. If you think you already know all the interesting places to visit in Canada, we will help you discover Canada. We will take you across the country where you can experience adventures at the beaches, following hiking trails, go fishing and other exciting outdoor activities. During your trip, you will get to discover the beautiful scenes of Ontario. We will take you around to see the beautiful provincial park, the lakes, hike through the cliffs and explore the landscape around the beautiful province. We have carefully prepared itineraries to have you enjoy a wonderful camping trip. You would have the best time during your visit engaged in activities you wouldn’t have if you travelled alone. We offer small group camping trips to make the experience more enjoyable. You get to meet singles and couples as well as people of various age categories from all over the world to share an adventure experience. You will enjoy your time in the company of those that share the same passion for travel and connect with new people in ways you can’t begin to imagine. It is a more exciting experience than travelling alone. It’s an opportunity to build relationships with new people. We have professional tour guides that also have the passion for adventure. They have spent several nights under the stars and know very well the province of Ontario. They will be with you throughout your camping experience to show you around and take you to very interesting places. Our tour guides will give you the best adventure experience in Ontario. Whether you want to go hiking or you just want to go sightseeing. We have a variety of activities that cover almost everything you would like to do during your camping trip. Our tour guides will be available to help you with any activity. We will give you a chance to explore Ontario at its best. You can go kayaking, horseback riding, hiking, walking, explore wildlife, ship cruises, etc. You also have a choice in the places you will like to stay during your camping trip. We will give you various options like cabins, hotels, lodges or if you want to experience staying outdoors in a tent. You can also choose the type of transport you need while you explore Ontario. We have made it our mission to provide everything you need to have the most exciting adventure.